If we must choose a word when talking about Content Marketing, we would choose personalization. Do we necessarily have to follow a process to get there? Also known as content mapping, content maps are processes of empathy and content creation that help us generate more specific and personalized formats. Why? Because we take as a starting point the needs of our users and at what stage of the shopping cycle they are. This opens our mind to ideas and possibilities that we probably had not taken into account before. As we want to show you our version of the subject, this supposes to start with a change in the way we set ourselves the challenges in Content Marketing : it is not about asking ourselves how to create a content of value for women from 18 to 44 years old, but how We can make you read to us Maria, animal lover and a little introverted character, who looks for actionable information on the happiness of your pet. Now let’s focus on what really matters: how we do it . We will try to summarize in three major phases the process that we follow at the strategic and tactical level. 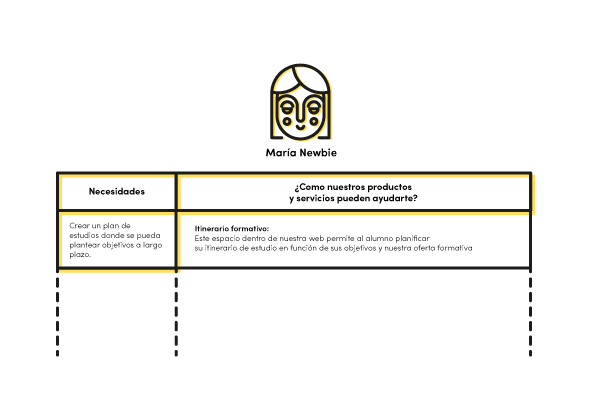 The first exercise we will do is to establish the key links between our users and our products or services. Compare the different needs of each of your buyer people and ask: how can our products and services help you? Nothing happens if a box goes blank because it does not cover a specific need. Then, establish your priority points so that, when planning the contents, the hierarchy of the categories is more than clear. Once we are clear about our level of empathy, it is time to come up with more solid ideas. Do not forget the whole previous exercise because you will need it at this point. 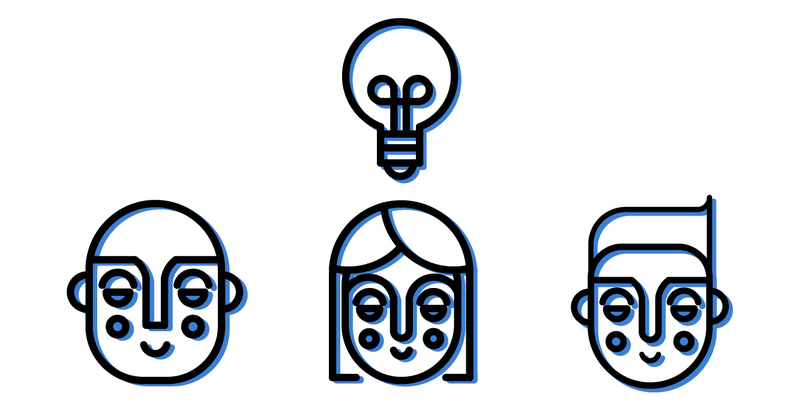 Gather different profiles of people that you think can bring fresh thinking to the team. Raise the needs again, now in the form of questions . How can we help Maria? Each member of the team should respond with ideas of possible content. Divide the session in the different moments of your user’s purchase : discovery / consideration / decision and then the ideas must be put in common and grouped by similarity. Here, topics and possible content formats will start to appear for each phase and need. It collects all the information generated and prioritizes according to the most critical needs. A word of advice: tracking keywords and looking at references can enrich or limit the process. Take it into consideration depending on the type of project. We like to plan the contents monthly, but we always try to get out of line a bit . Once the ideation phase is done (important that this is done every so often), create a calendar that you can share with different team members and indicate each category and subcategory (if applicable), to which buyer person and for what phase of the purchase process goes direct and, finally, the possible title of the post. We call this the editorial calendar . 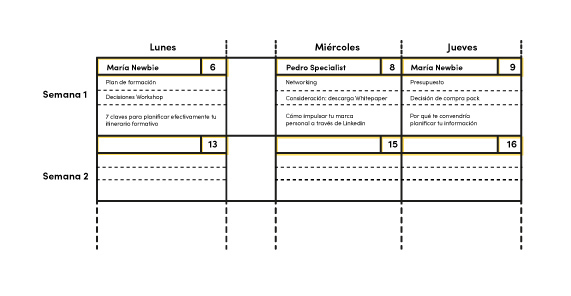 According to the strategy that you have raised , here you will also define the days and hours of publication. All this looks very good but: what does the experience tell us? Make sure that your Content Plan applies a bit of our formula 70/20/10 : 70% contents that yes or yes will work; 20% black paw content, very premium and requires more production effort; and 10% experimental content, in which you test things and see how people react. Super important meetings to let us know how the project is going. They can be every two weeks or maximum every two weeks. In this meeting we become a little crazy and super critical of the work we are doing . From these meetings, a rethinking of what is being done may radically change the course of the project. Involve your client in all white label agency phases of the process. You do not work for him but with him . The more involved you are, the more you will feel that you are part of it. Invite him to the co-creation sessions and you will see that everything will flow better. They are 10 well known and followed thanks to their high quality articles and their current content on interior design and “diseño web Paraguay” and decoration. If you do not want to waste time searching the internet, check them out. If you have searched for interior design blogs before, you probably know Decoesfera , probably the number 1 decoration blog in Spain. In Decoesfera you can find almost any subject you are looking for, articles about design and architecture, DIYs, decoration for the kitchen , the living room, the garden, etc. They also talk about art, bricolage and plants, recommend decoration magazines and tricks to improve your knowledge related to interior design. Vintage & Chic is one of the most visited Spanish decoration blogs , has 130,000 followers on Facebook and is updated daily so you always have new content to read. In it you can find articles on photography, interior design, fashion and DIYs, almost always with its retro touch . The founder, Leticia Blanco, is one of the most influential decoration bloggers in Spain. 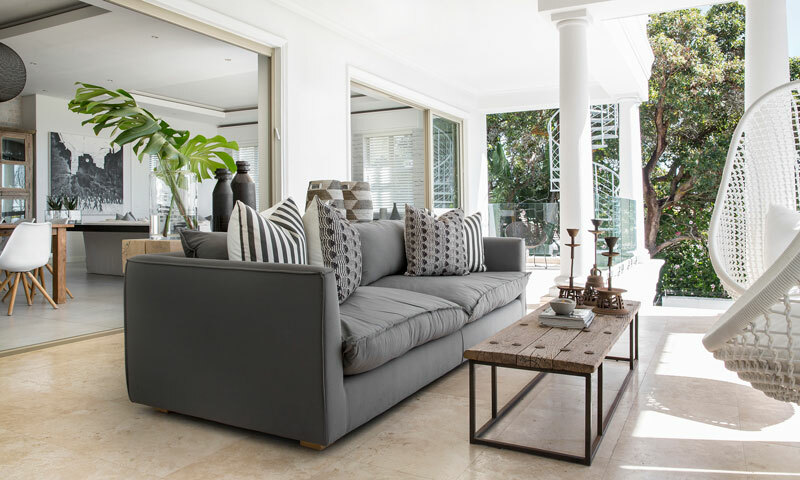 Delikatissen is another of the best blogs for interior decoration in Spanish . In it there are many articles and topics on interior design, from environments, through photography, graphic design, different styles of decoration and pastry recipes, which are very good. The main theme and on which the majority of articles are based is the Nordic style . The blog Cosasmomas is one of the references in the sector of economic decoration and DIYs (Do it yourself). In its website we can find a lot of crafts and step-by-step guides to make decorative objects, such as lamps, mirrors, tables, racks, vintage objects, etc. If you like the economic decoration made by yourself, you can not miss it. In Decoracion2 there are articles on interior design for the home, collection of Ikea catalogs, ideas for parties, crafts, and even have their own online store. It is a great blog that belongs to a network of digital media with several years of experience on the internet. Decoratrix is a decorating website with high quality, detailed articles and many photos to inspire you and create your own ideas. Decoratrix is ​​more than a blog, it is a platform with information and personalized services for your home. A team made up of interior designers, journalists and photographers, graphic designers. In the decoration blog Decoratualma you will find any topic you are looking for in interior design, well distributed in a short list of categories but with a lot of content. Every day there are new articles with quality photographs, you will surely find what you are looking for. Comodoosinteriores is a personal blog hosted by blogger Carolina, an interior designer by profession. It has a little bit of everything, with ideas to inspire you in design, lifestyle and crafts. Bohodecochic is an interior design blog that collects a large number of Nordic decoration items, so you can be inspired by the best ideas and take them home. You can find all kinds of topics, tips, tricks and guides, very well synthesized so that reading is enjoyable and entertaining. With special interest in the section “My House” where he shows us how he decorates his apartment. Easy is a huge portal , in which they have a decoration section where interior design bloggers can publish their own articles. You can find practically all the themes, although the quality of the information depends a lot on the author of the post. Some time ago I wanted to start this section on the blog, commenting on some of the books on interior decoration that I know and read. Today I bring you 6 books that I find very inspiring. They are not all the same but, in my opinion, they have in common that they have been written by people who live and work in the world of interior design and decoration, with a great experience and knowledge of what they do. And if not, you can check it yourself. (Some of the links are affiliated, which means that Espacios Infinitos receives a small commission if a purchase is made through the link.) Thank you for helping with the maintenance of the blog. Bright Bazaar: Embracing Color for Make-You-Smile Style. It is the first book by Will Taylor, the creator and author of Bright Bazaar, a well-known blog dedicated to decoration. This Briton settled in New York has a great talent for writing and for photography. It is a book with practical ideas, many photographs full of color and ideas. Jean-Louis Deniot: Interiors. The best of interior design by Jean Louis Deniot. Written by Diane Dorrans Saeks and accompanied by the great photographs of Xavier Bejot. Edited by Rizzoli. A classic not so classic. Wabi Inspirations, by renowned Belgian interior designer Axel Vervoordt, edited by Flammarion, in which he gives us his particular vision of ‘wabi’ inspired interior design. A book that is worth its weight. A maverl. Another gem by the same author -Axel Vervoordt- is Living with light, also edited by Flammarion. A review of the author’s interior design work with great photographs. Finally, I can not resist putting another book on this list, Muebles Paraguay maybe something different but worth mentioning. This is History of interior design, written by John F. Pile and Judith Gura. It is the book that I am reading at the moment. It is not a coffee book. It has almost 500 pages with a very worked text and great photographs. History of interior design. I hope you enjoy these books like me. I’ll thank you, if you liked it, share it in your networks. And, of course, if you know a book that is worth mentioning in EI do not hesitate to leave your comment. Thank you! For authors who write a e book then are confronted with: “How do I get folks to learn my e book, know who I’m and wish extra of what I write?” One good instrument to perform that is to make use of your talent as a author by reviewing books. Folks generate income doing e book evaluations. They’ve acquired a talent they usually capitalize on it. Authors can do the identical factor aside from a unique finish end result. The place do you begin? Be taught what makes a superb e book evaluation. We’ll evaluation how to do that, however for now, we need to take a look at the why and what of your objective in writing evaluation articles. First, in case you are an unknown writer, you have to develop your means to write down. Ebook evaluations is one instrument that you should utilize to do that. This instrument should give you the results you want and never towards you. We’ll take a look at an inventory of associated matters that should be used whenever you use this avenue of self-promotion. The important thing and golden rule right here is: delicate self-promotion. The e book evaluation that you just do should accomplish a number of targets for you. It should improve your standing as an writer and author. It should showcase your expertise on your chosen style of writing. It should be with publications which can be associated to your writing area, i.e. romance or thriller for fiction or a selected space if non-fiction. The article evaluation venue should help you connect your e book title or writer web site as a part of your signature. This can be a delicate technique of self-promotion and readers will come to affiliate your identify and e book titles or web site to your writing. You should be skilled with how and what you write in e book evaluations. Caveat right here: if the overall tone of a lot of your e book evaluations is harsh, unfavorable or important it’ll hinder your self-promotion. Use a balanced strategy with writing e book evaluations and in the event you see that reviewing a sure e book is or will solid a unfavorable shadow; it’s your option to not do a e book evaluation. Higher left unsaid if it’ll trigger future issues. If you’re given a e book to evaluation, do not simply skim it. Do the writer and your self a favor by giving it an sincere appraisal. Your purpose is to construct a constructive promotion environment for you as an writer alongside together with your books. This checklist isn’t all-inclusive, however a place to begin for utilizing e book evaluations as a way of self-promotion. Will probably be associated to your discipline of writing and can preserve you within the behavior of writing. Whenever you hit a dry spell in your writing having a e book to learn and doing a evaluation could be a kick starter for different writing that it’s essential do. Simply do not let writing about books turn into the first focus of what you write. In paragraph two above, we hinted at what it takes to do a superb e book evaluation and what are its element elements. To get us began, a quote by Alyice Edrich, a British writer, offers us this definition: “It is a transient overview or description of a e book, alongside together with your private analysis or ideas.” With this definition, we are going to break down a e book evaluation into its primary elements. “The perfect evaluations are those which assist different folks make their very own selections.” Says Alyice. So what are the fundamental elements to a literary evaluation and the way can we assist the reader make their very own selections? First, let’s cowl the common variety of phrases for e book evaluations. A traditional evaluation can be about 600 to 800 phrases or about Three-5 paragraphs. Mini-reviews are about 500 phrases or much less and 1-2 paragraphs. The common evaluation will give some thought of the e book’s construction, what style or sub-genre it’s and a few factors about characters, plot and factors on content material. You could be sincere and provides your private opinions in a few of these areas. Give your common impression of the writer’s means and intent with what he has written. Did he accomplish his purpose? Did he talk key concepts and ideas properly? If not, checklist what you suppose would enhance the work. Summarize your total impression of the e book and can it assist the reader to accumulate what he desires; i.e. leisure, info, primary how-to or self-improvement. It isn’t your job to promote the e book. It’s to assist the reader resolve whether it is worthwhile for her or him to purchase it. If readers take motion a method or one other out of your e book evaluation, then you might have completed your job. Add to your expertise right here. Do a little analysis of on-line e book evaluations. See the evaluations on Amazon or Barnes and Noble and associated websites. This may enable you to select up concepts of what e book evaluations ought to include. At a minimal, embody the e book title, writer’s identify, writer (conventional or Indie-published) and the kind of e book, whether or not it’s hardback, paperback or eBook. Typically it’s possible you’ll need to embody the value of the e book if that’s related. One rule to recollect: new releases should be reviewed inside the first two months after they’re launched. Opinions inside the first two weeks are typically vastly desired. When you’ve got a possibility to make use of different media assets resembling radio, TV or newspapers, use them! All of it’ll enable you accomplish your finish results of self-promotion. Bear in mind additionally, writing articles about issues associated to your style may also be useful in your promotion efforts. Ebook advertising is two-fold. Placing the e book into the arms of readers and serving to the studying public to know who you’re as an writer and author. Literary evaluations and press releases could be nice instruments for the Indie-published writer to get free promotional materials into the arms of readers. Brainstorm with different writers, bloggers and pals on how these instruments can finest be used to advertise you as knowledgeable author. The aspiring author and writer should know what it takes to get revealed. He should analysis and learn to use assets accessible to him with success. Social media, his personal web site, the inclusion of movies and different media types are all essential. He should purchase talent in understanding traits inside his trade and find out how to use them to benefit. Getting his identify out to the studying public is the thrust of changing into identified. He should learn to develop his viewers and when and find out how to goal it. It’s in mastering these actions that he’ll be taught what he should write to encourage his reader viewers and preserve them knowledgeable about his actions. He should plan and do follow-up actions to maintain his readership engaged and desirous about his writing style. These are the challenges that skilled writer’s settle for and be taught to show to benefit each for himself and his readership. Something much less will fall wanting what we do as professionals. There may be one truism that we should preserve in our ideas: Lifeless writing is rapidly buried and forgotten. Books that encourage are nonetheless alive centuries later. Give a lot thought to what you write and the way lengthy it’ll stay! Aspiring writers ought to go to SQBooks to be taught good primary writing expertise.